This quarterly report (PDF) is a statistical breakdown of the system’s performance and trends in foreign student representation in U.S. academic and exchange programs. 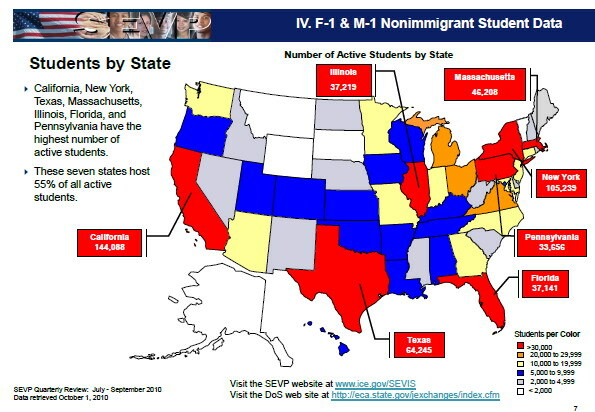 As of 30 September 2010, SEVIS (Student and Exchange Visitor Information System) contained records for 1,164,691 active nonimmigrant students, exchange visitors, and their dependents. 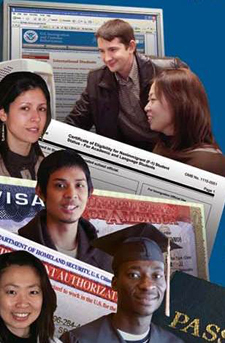 The total number of records for all F-1, M-1, and J-1 visa holders is now 7.8 million. 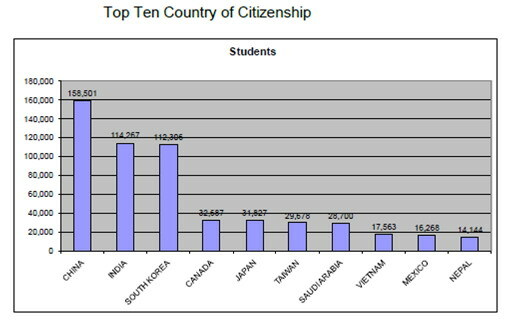 The U.S. is now the world’s leading host of Vietnamese students with 17,563, followed by Australia with 16,300, according to a July 2010 Austrade update. A reminder: In contrast to the annual Open Doors 2010 report on international student mobility, which will be released on 15 November 2010, the SEVIS numbers are up-to-date and include international students at all levels of the education system. The Open Doors stats reflect data snapshots from the previous fall semester and are for those enrolled in regionally accredited institutions of higher education. If you look at the breakdown among the top ten countries, you’ll see that there are three discernible “tiers.” The second ranges from 28,700 (Saudi Arabia) to 32,687 (Canada) students. Vietnam is poised to ascend into the 2nd tier in the next few years, assuming the current rate of sending. A notable and noticeable fact, which I intend to explore in a future post, is that two of the top ten countries, Vietnam and Nepal, are low-income countries with a GDP of 92.6 (2009) and 12.69 (2008) billion dollars, respectively.